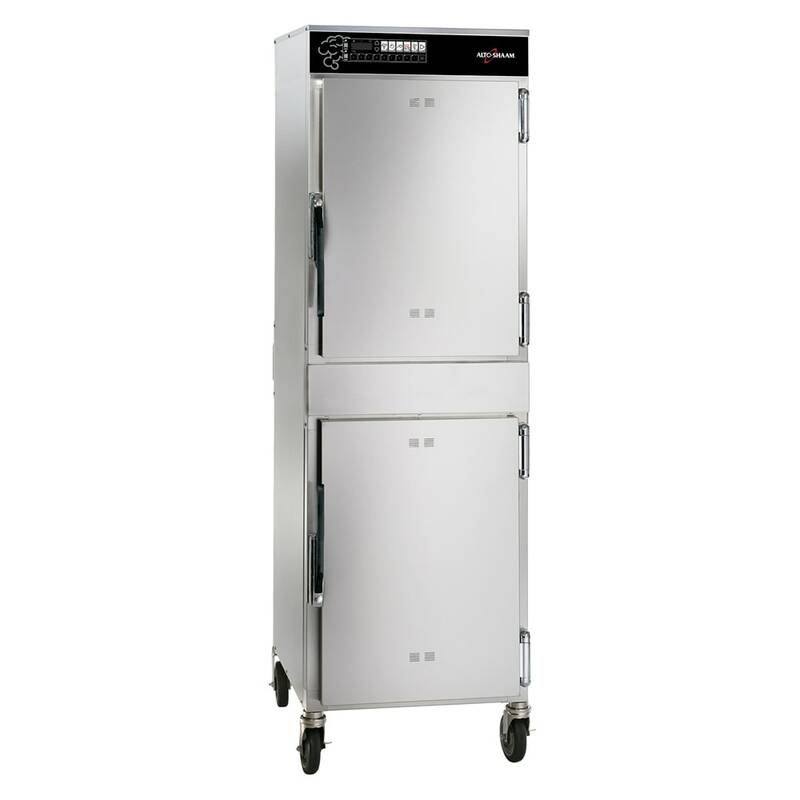 Any restaurant or foodservice establishment that specializes in barbecue would find Alto-Shaam's 1200-SK III low temperature smoker oven a beneficial tool. The unit smokes meats with real wood chips with no pressure cooking or artificial smoke flavor. A smoke timer gives a choice of mild, medium or heavy smoke flavor, and also cold smokes fish and cheese. A Halo Heat source maintains close temperature throughout the cooking and holding function. Each door has a magnetic door latch, and the compartments are furnished with two stainless steel side racks with eight pan positions, four stainless steel wire shelves, two rib racks and a drip pan with a drain. There is also an external drip tray and a set of heavy duty casters. 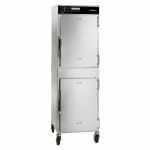 Each compartment includes 2 side racks with 8 pan positions spaced at 2-5/16 in.